David Shirazi is an agent with the CIA. As the first recorded adventure takes place he is about 25 year old and has been affiliated with the Agency for almost a decade, making his start with them at the young age of 16. The path that took him into their sphere at such a young age is crucial to understanding his motivation and dedication to his job. Shirazi's parents were citizens of Iran back in 1979 when the students attacked the American embassy in Tehran and took the hostages. Mohammed Shirazi was a cardiologist in that capital, married to Nasreen and quite successful. Next door lived an American couple, Charlie Harper and his wife Claire, who had grown friendly with the Shirazi's and occasionally dined with them. When the trouble started and Americans became the target for enraged activists, Harper had been at home with the now pregnant Claire. Trying to get to work only brought him to the attention of the rioters and soon the Harper's were in grave danger and Claire injured. The Harpers turned for help to their neighbors and being compassionate people, the Shirazis provided it but that just meant that they too became hunted and in even graver danger. With the help of a CIA agent, they had a harrowing escape out of the country and were forced to start afresh in America. In the U.S., the skilled Shirazi's prospered and three sons came. The third was David and life was good. When David was 15 he was old enough to join his father and older brothers on an annual father-son fishing outing to northern Canada, joining up with friends of the physician's friends, including Harper. This particular year, however, Harper brought his only child, a girl of the same age as David named Marseilles. At first David was incensed that a female should intrude but over the few days that coldness thawed and a romance bloomed. When their return ride was delayed in coming, they got even closer and eventually passion took them farther than either had expected. The delay was caused by the tragedy of 9/11 which grounded all air travel for a week. For the Harpers, though, the calamity was personal as Claire Harper has been an employee in one of the Towers. The loss of her mother devastated the girl and she turned cold. The loss of his new love because of the terrorism brought about by Osama Bin Laden weighed heavily on Shirazi. Other factors besides his forlorn love life would sharply start affecting him. School bullies with anti-Muslim hatred caused trouble and an angry Shirazi did not meekly put up with it. His grades suffered and his fighting increased and his parents worried deeply about his future. That is when Zalinsky of the CIA, the man who had help rescue his parents decades earlier came to call with an offer to start prepping for a chance to hunt down Bin Laden and get vengeance and justice. For Shirazi it was an opportunity to make a difference. For the Agency, it meant having an agent who had a photographic memory, keen intellect, and a native-speaker ability in Farsi, Arabic, French, and German. The renewed trouble in Iran with their increased efforts to acquire a nuclear weapon would pull Shirazi away from his hunt for the Al Qaeda leader. It would also mean greater adventure and far more danger. 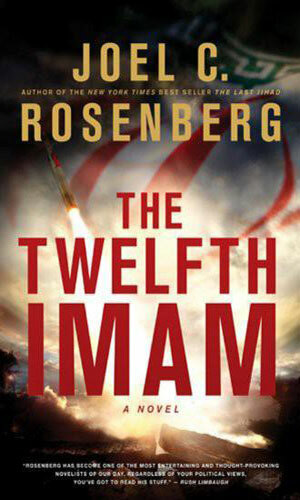 Sent to Iran to disrupt their nuclear weapons project, David Shirazi is present when a new cult flares to life as a little known cleric is suddenly proclaimed the Mahdi and Iran's army uses his acclaim to insist on a fight with Israel. 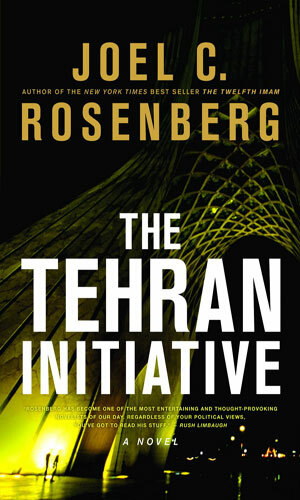 With Israel and Iran on the brink of a devastating war with each other and the Mahdi calling for war, the U.S. President orders David Shirazi to find and destroy Iran's nuclear weapons. Israel has attacked Iran and destroyed most of their nuclear warheads but David Shirazi learns that two survived and Iran is planning on using them against Israel unless he can locate and disable them. 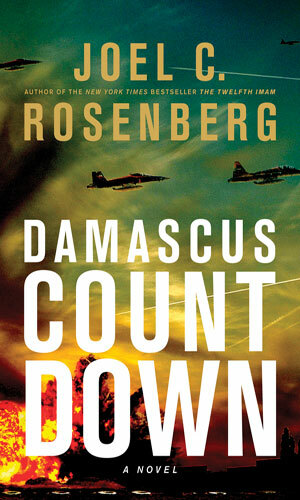 Joel C. Rosenberg is an impassioned author who writes fervently and extremely eloquently about his subject matter. That came across quite clearly in his first series in this compendium and it is just as true in his second one. Even better than his presentation about the troubles in the Middle East and their long-ago origins and the religious fervor boiling every hotter today is his deep insight into the people involved. They are by no means caricatures or stereotypes because Mr. Rosenberg lets you into their thoughts and their histories and helps you seen why they do what they do, both good and bad.